Iran says Europe’s political support for the 2015 nuclear deal is “valuable”, but that’s not enough, as it must translate its words into action by taking “operational” steps to salvage the Joint Comprehensive Plan of Action (JCPOA) after the US withdrawal. 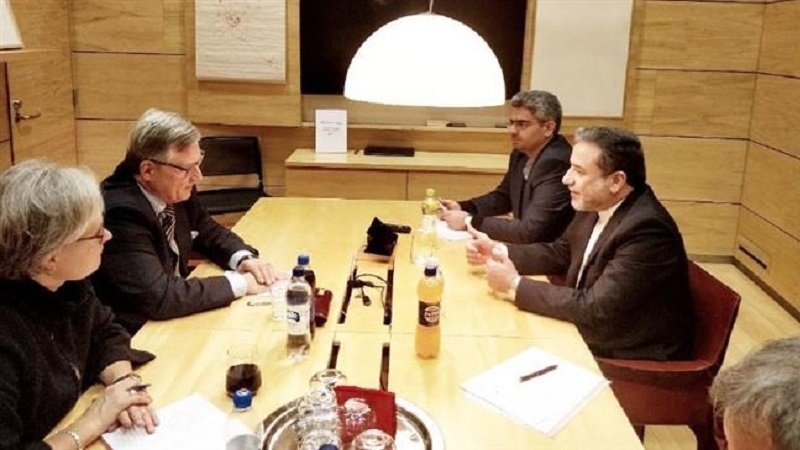 According to Press TV, the remarks were made by Iranian Deputy Foreign Minister for Political Affairs Seyyed Abbas Araqchi on Tuesday during his meetings with a number of Finnish officials in Helsinki. Araqchi referred to the European Union’s political support for the Iran nuclear deal, and described it as “praiseworthy” and “valuable”. Europe says it is “working twenty-four seven” to launch a payment mechanism called the Special Purpose Vehicle (SPV), which is aimed at facilitating business with Iran in the face of US sanctions. The mechanism is a totally new experience both for Iran and the European Union, and this has resulted in some delay in the process, said former Head of the European Parliament’s delegation for relations with Iran Tarja Cronberg during a recent visit to Tehran. The US is undermining not only the JCPOA but also the independence and sovereignty of other countries, he added during his meetings with the Finnish Foreign Ministry’s Permanent State Secretary Matti Anttonen, Under-Secretary of State Anne Sipiläinen, and Pertti Salolainen, the Vice Chairperson of the Finnish Parliament’s Foreign Affairs Committee. The Finnish officials expressed their government’s resolve to develop its cooperation with Iran, and said companies in Finland are still interested in being present in Iranian markets and promoting their cooperation with the Islamic Republic, but are waiting for the European Union to prepare the grounds. In addition, they said, the government of Finland is trying to provide facilities for small- and medium-sized companies. Araqchi, in turn, welcomed the Finnish government’s political resolve to continue and expand its all-out cooperation with Tehran, and expressed the hope that further efforts will be made to develop mechanisms and proper solutions in order to facilitate the presence of Finnish companies, especially the small- and medium-sized ones, in Iran. A key purpose of launching the SPV is to “assist and reassure economic operators pursuing legitimate business with Iran”, and that particularly includes the small- and medium-sized businesses, according to European officials. The JCPOA will also be endangered if European countries fail to fulfill their pledge to ease the US’ pressures and let Iran reap the economic benefits of the deal.